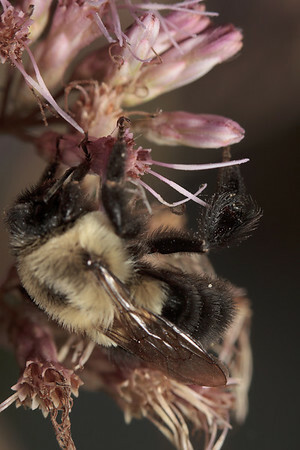 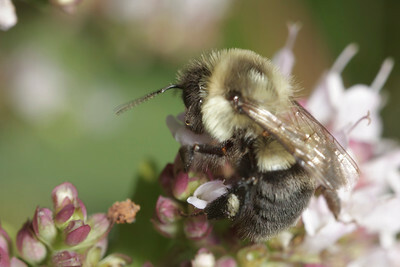 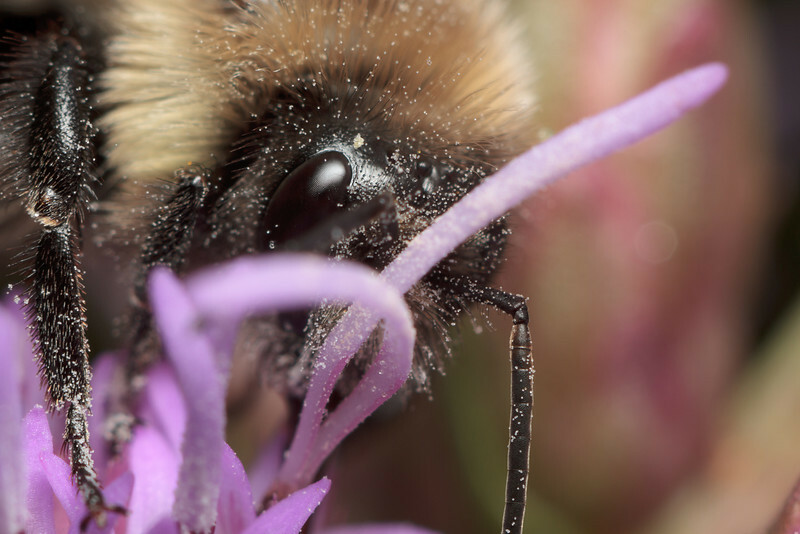 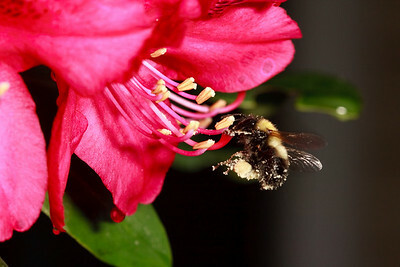 A bumble bee quickly searches through a bush for flowers she can feed from. 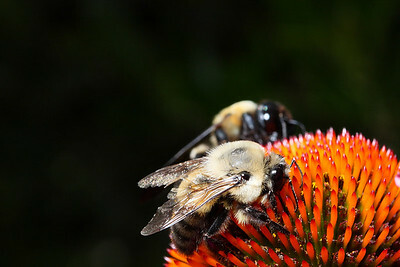 A pair of bumble bees working along side each other on an echinacea flower. 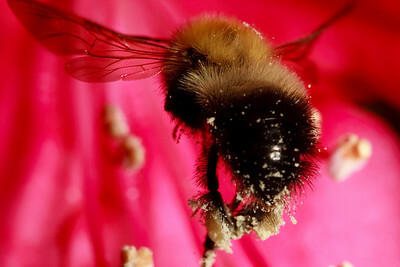 A female bumble bee (Bombus), already carrying pollen, flies toward a rhododendron flower to collect more. 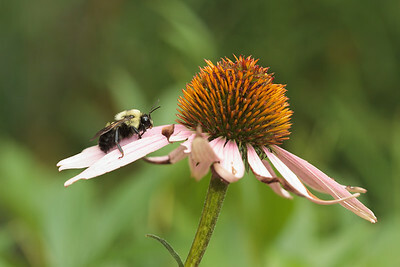 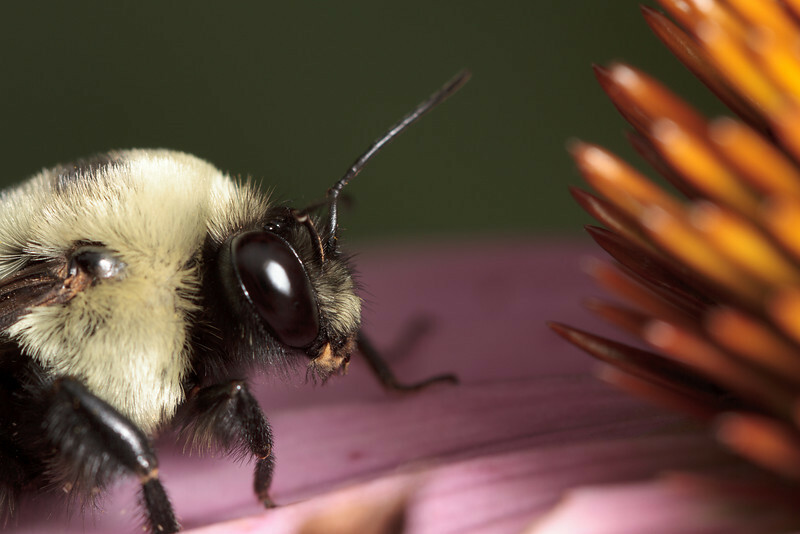 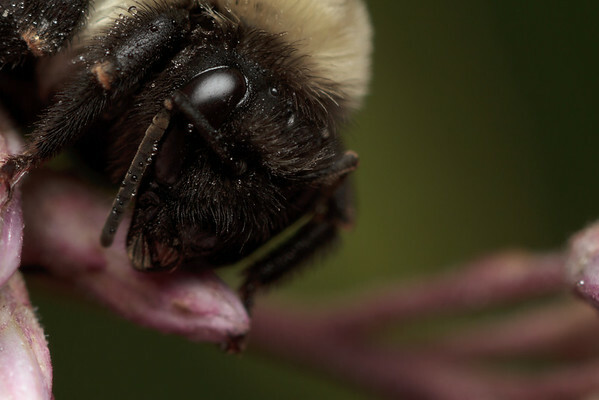 A bumble bee (Bombus) rests on an echinacea flower.